One of my favorite Christmas movies is Home Alone. Kevin McAllister lives in a posh Chicago suburb with his large family. He lives next door to an old man who is obviously all alone. Kevin’s brother and cousin stare out the window late one night and talk about the old man who is shoveling salt on the sidewalks. The brother explains that the old man killed his family and uses the salt to preserve the bodies and turn them in to mummies. …a wrong view of the Master will lead you to do the wrong thing with what He’s given you. Of course, for the rest of the movie Kevin screams and runs from the man every time they come face to face. 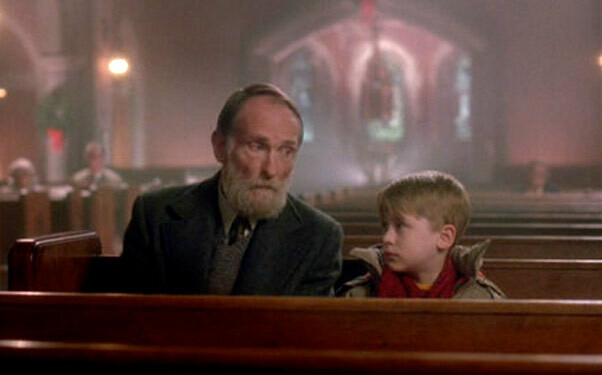 Then on Christmas Eve, they end up in the sanctuary of a church together and the old man sits down next to Kevin. He explains that all that is known about him is not entirely true. As Kevin listens, something happens. He leaves his fear of the old man behind and sees him in a completely different light. The servant had an incorrect understanding of the master. Because of his misunderstanding, he was afraid and immobilized. Here’s the deal: If you have a wrong view of the Master it will lead you to do the wrong thing with what He’s given you. “I don’t give money to God through the church because that’s all their focused on…money, money, money. You’d think God wouldn’t need money. He’s God!” It’s a misunderstanding of the Master. Instead of assuming you know God, take some time to re-introduce yourself to His love, His character and His ways. You’ll find that there are some things that are believed about God that aren’t entirely true. That could be the difference between running from Him in fear or stepping in to His presence in faith.